Karo has been in the US for some time now, and gist from the grapevine has it that the actress is planning to settle down with her US-based lover. Love, may be far from the diary of many actresses in Nollywood, but for Oghenekaro Itene, popularly known as Karo, love is certainly coming home to roost as the beautiful thespian is set to tie the nuptial knot with her secret lover based in the US. Unlike many who would have loved to flaunt their man on every social media handle, the actress chose to keep everything to herself so as to avoid stories that may have tainted their love. It is not certain if the wedding will be taking place abroad or if her man will have to move down to Nigeria with her but whichever is the case, we wish her happy married life in advance. The actress absence in the movie industry for some months now has been deliberate as she recently went to the prestigious film school in Los Angeles, to equip herself more on the nitty gritty of movie making and she’s all set to storm the industry with her own production outfit soon. 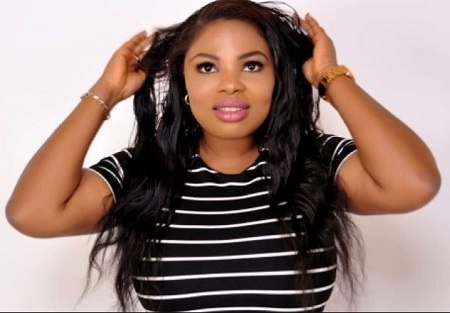 The actress made her mark in the Nollywood industry for several years before taking out time to study her man while she also engages herself in other businesses to support herself. Posted by Mr. Cis on July 7, 2018.